Continuing education units, or CEUs, are educational credits for professionals who hold a license. Attorneys, certified public accountants, physicians, financial advisors and other licensed professionals are required to complete them to maintain and renew state licensure. A set amount of CEUs may be required for license renewal for LPNs and vary by state. CEUs are usually in the form of an article, webinar, video, class, seminar, or other educational venue. They are created and taught by industry professionals and are required to be reviewed and approved by each state to be accepted by the state nursing board. Upon completion of the CEU course, the LPN is usually required to complete a survey of the course discussing what he or she liked and didn’t like and comments for improvement. The CEU educator must submit these surveys to maintain CEU credentialing privileges. A quiz about the materials is sometimes required to complete the course and obtain the credit. In states which require CEUs, they may either be accepted in any area of study or in different areas. For example, completing CEUs in pain management or infectious disease topics may be required by one state while another state may be satisfied with CEUs in any subject. Some states allow nursing employment hours, projects, authoring books or articles, and other nursing activities instead of CEUs. Each CEU is worth 10 hours of participation in whichever subject the CEU is about. It is the LPNs responsibility to know the CEU requirements for the state in which he or she is licensed. Licensed professionals in almost all areas are required to complete CEUs for license renewal, although, some states do not require CEUs at all. In nursing, the license practical nurse, registered nurse, and nurse practitioner are required to complete CEUs if their state mandates it. Where Do I Go for LPN CEUs? The easiest place to find CEUs is online. Some websites offer free CEUs while others charge per CEU activity or offer a subscription service. Many websites offer subscriptions for a fee and the LPN can complete unlimited CEUs after signing up. The cost for the subscription can vary from $29 up to $99 a year depending on the website. Different topics and specialty areas are usually offered. Advanced cardiac life support (ACLS), basic life support (BLS), and pediatric advanced life support (PALS) are usually accepted by the nursing state board for CEU credits. Depending on the LPNs specialty, these certifications may be required for nursing employment. Often the state board will accept recertification as well as certification for these classes. If the LPN is employed at a hospital finding CEUs should be easy. Nurse Educators are a great resource for websites or local activities for nursing education. They often provide opportunities for continuing nursing education and CEU activities at the hospital. 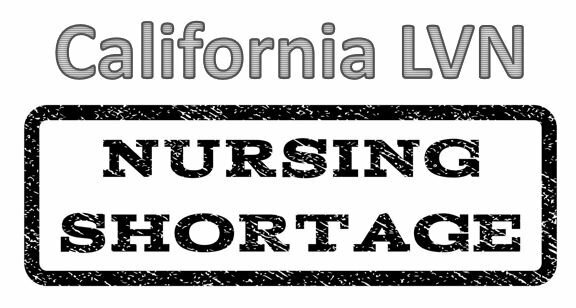 The LPN may even be paid for hours worked if it’s a class pertaining to his or her job or advancing into a specialty area. Upon completion of the CEU course, a Certificate of Completion is issued to the LPN as proof of completing the course. It’s a good idea to take a picture of the certification and email it to yourself in case you lose it. Create a computer file of CEUs and store all of them in it to help stay organized. Keeping physical copies in a safe place is also smart. Be sure to check that the CEU applies to your state of licensure before completing it. Some CEUs are not accredited for all states. How Many CEUs Does My State Require for License Renewal? CEU requirements vary by state. Some states do not require any CEUs for license renewal and other states require of CEUs plus nursing employment, while still others offer options to completing CEUs, such as projects, national certifications, and academic courses. What Happens If I Don't Complete the Required CEUs for License Renewal? Each state has different license renewal guidelines and requirements about proving CEUs were completed for each renewal period. For example, California randomly chooses license renewal applicants for audit by requiring the applicant to enter each completed CEU when they use the online renewal process. The selection of applicants is random so the nurse won’t know if he or she is required to prove CEU completion. 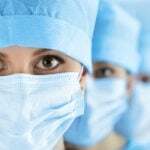 Other states may require copies of the CEU Certification of Completion with each renewal period while others may choose to audit nurses by sending a letter requesting proof of CEU completion. It’s best not to get caught in a state board of nursing audit without having completed license requirements. 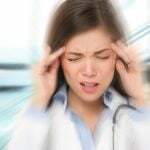 The LPN may have his or her license suspended until the CEUs are completed which would prevent he or she from working, not to mention appearing unprofessional to colleagues and having to rush and find CEU activities. How Long Do LPN CEUs Take to Complete? The timeframe to complete CEUs varies by activity. Usually the more credits offered for the course, the longer it will take to complete the course. Most online courses involve reading some nursing materials on a particular topic then taking a short quiz about the materials. If the nurse answers enough questions correctly, he or she passes the course and receives the Certificate of Completion. One company sends out a booklet with 3 nursing articles included and for $29.95 and the completion of 3 short surveys about the materials, the nurse receives 30 CEUs. They are expected to read the materials before completing the survey. Advanced cardiac life support (ACLS) and pediatric advanced life support (PALS) classes usually last for 2 8-hour days. Basic life support (BLS) classes are usually just one 8-hour day. Jump to SectionWhat Are CEUs?Who Is Required to Complete CEUs?Where Do I Go for LPN CEUs?How Many CEUs Does My State Require for License Renewal?LPN CEU Requiements by StateWhat Happens If I Don't Complete the Required CEUs for License Renewal?How Long Do LPN CEUs Take to Complete?